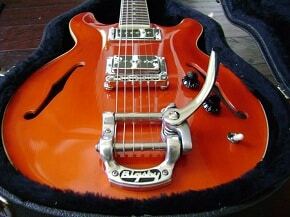 If you have even one beloved vintage guitar, you’ve probably had to buy original parts for it at one time or another. 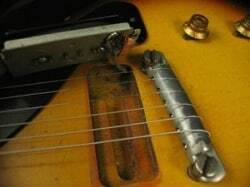 You know the story: you bought an amazing 1967 ES-335 from some dude on eBay who swapped out the original top-hat knobs for speed knobs and cracked one of the pickup rings. Or you need some original spacers for your 1957 Telecaster. 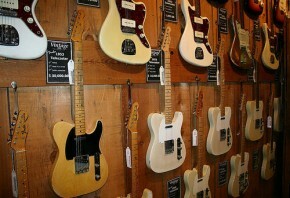 Fender and Gibson electrics from the Fifties and Sixties are among the most collectible of all guitars. But just as cool are Höfner instruments, made in Germany and costing considerably less than their American counterparts. The most well known Höfner, introduced in 1955, is the 500/1 the electric “violin” bass that Paul McCartney made famous. 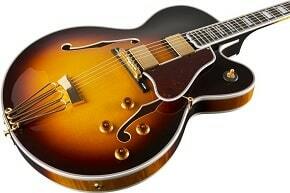 An original version of this ax sometimes referred to as the “Beatle Bass,” should be relatively inexpensive. At press time I spotted several mid-Sixties models for $2,500 and less. 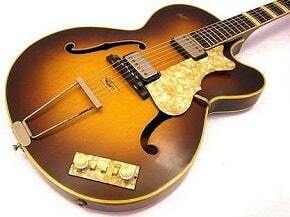 Höfner had an interesting line of hollowbody and archtop guitars, as well. Like certain Glbsons, many Höfners were named by model number—the higher the number, the fancier the instrument. Smaller guitars like the Höfner 456 or 457 (shown here in 1964 vintage 456 thinline), with their laminated 16-inch bodies were comparable to Gibson’s e acoustic L-4, or electric ES-175, while larger ones, such as the 17 ½-inch wide 468, were more like Gibson’s ES-5 Switchmaster. All these Höfners were made from lightweight woods, often highly flamed, and tend to sound quite loud, with lots of cutting top and middle tones. 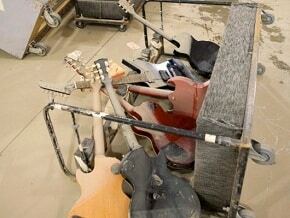 Relatively few Höfners made it to the United States; they ended up costing considerably more than domestically made guitars and fared poorly. Thus, Höfners of North American vintage are both rarer and cheaper than old Gibsons. At press time, the only 456 I could find was in the Netherlands and was selling for about $1,137.90. Meanwhile, I saw a handful of L-45 from the same era, going for as much as $4,200.